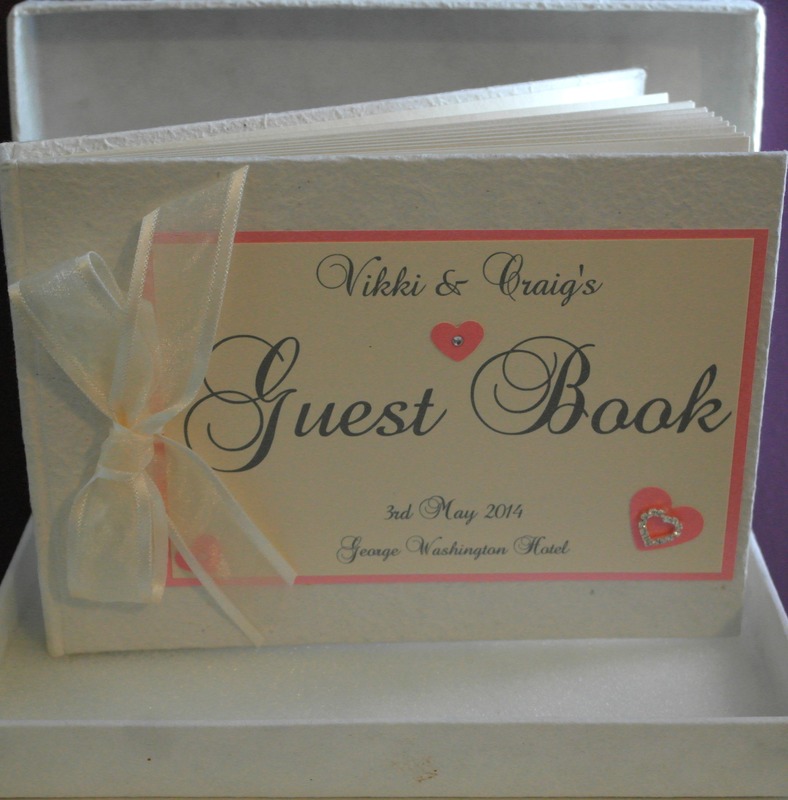 Handmade personalised guest book. Decorated in ivory and coral. A touch of romance with diamante hearts. Finishing touch with silk edged ivory organza ribbon.